Kirk Windstein is a man who’s physical appearance matches his music; I say that as a compliment because Kirk is the anti-glam of sludge metal despite his love of 80’s metal like Twisted Sister & WASP. Crowbar had 2 unlikely forces in the 90’s which helped propel the band into the national spotlight: Beavis & Butthead and Pantera! Beavis & Butthead showed Crowbar’s videos while Phil Anselmo produced the bands debut release and Pantera took the band on the road with them. In the mid 90’s Kirk & Phil Anselmo formed Down with Anselmo’s Pantera band mate Rex Brown, Pepper from Corrosion of Conformity, and Jimmy Bower from EyeHateGod. 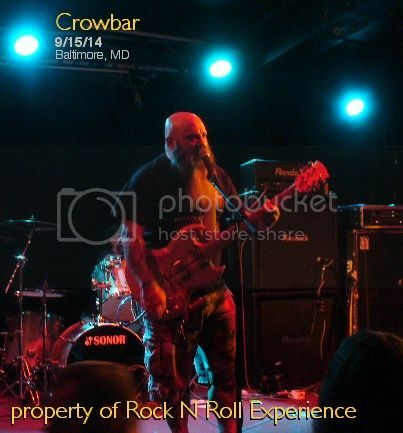 Kirk eventually left Down to focus on Crowbar full time and that brings us to this night; September 15, 2014 Kirk & Crowbar played the Ottobar in Baltimore, Maryland to a surprisingly decent sized crowd. 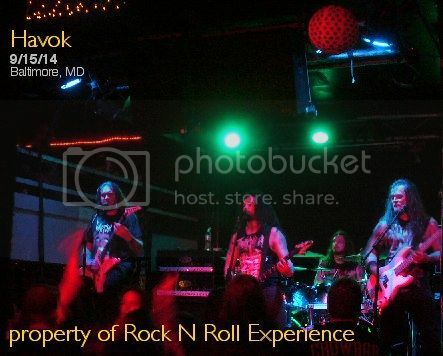 This show was on a Monday night and in Baltimore a week night show can be iffy because work night/school night shows do not always sell well. I arrived just as Havok were line checking and I give Havok props for jamming on a small portion of “There Goes The Neighborhood” by Ice T’s Body Count! Havok reminded me of early Overkill just a tad and their guitar work was impressive. Havok actually had a small circle pit happening for about 1/2 of their set and in that circle pit was a guy in a wheel chair who actually rocked out harder than everyone in that pit! Crowbar played a thick, sludgy 60+ minute set which stayed heavy till the bitter end. Kirk’s voice sounded just a tad blown out and it’s understandable when you sing like that every night; luckily the vocals in Crowbar have always been secondary to the music! Kirk commented that the guitar he was playing onstage was made by a guy in the crowd and that it was one of the best guitars he’d ever owned. Kirk played the same guitar for the entire show & the wall of sound that the band created was somewhere between Stoner Rock & Doom Metal; the basis of what Crowbar do fixates on riffs Tony Iommi & Wino from St. Vitus perfected years prior. 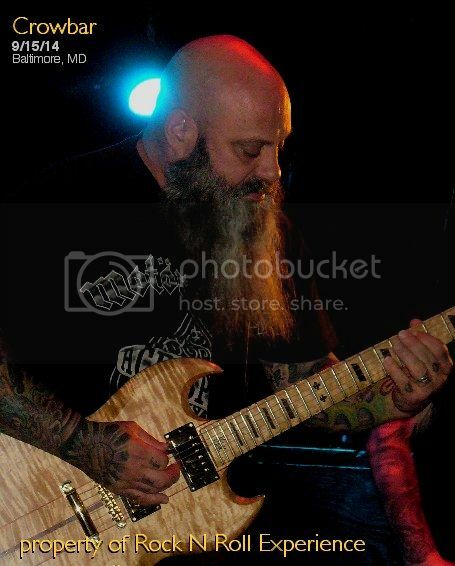 When Crowbar finished their entire set they left the stage; according to their set list they had finished the show BUT the crowd kept chanting for one more song so Kirk and the boys were nice enough to accommodate the crowd with a one song encore which was not listed on the set list. 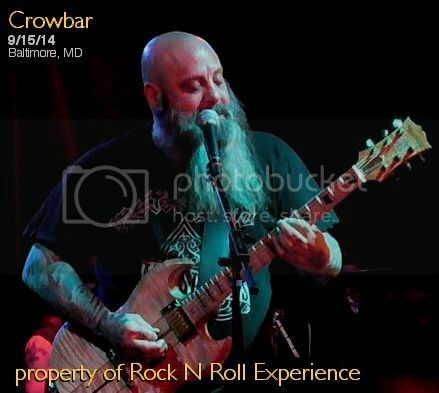 For a Monday night metal show in Maryland I give Crowbar props for pulling out a decent sized crowd; that’s actually a hard thing to do in this town!